The Snowman Tour – Coming to a venue near you soon! There are certain films and programmes that I only associate with Christmas. Home Alone has got to be in the top 5 and I refuse to watch Love Actually unless the Christmas tree is up. But one programme has a very special place in my heart. 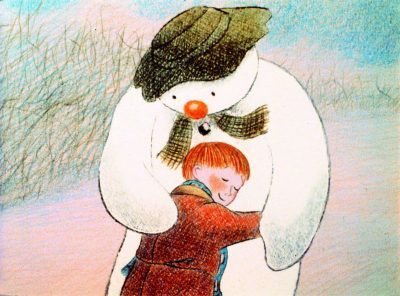 The Snowman is an iconic animation based on the book written by Raymond Briggs in 1978 (Also the year I was born! I love it even more now!) The original book had no words and when it was turned into a BAFTA award winning animation in 1982 this aspect was retained other than the creation and addition of the incredible song ‘Walking in the air’ (you’re singing it now aren’t you!) and the phenomenal orchestra score that accompanied the beautiful tale. 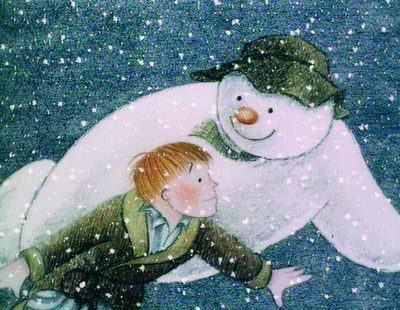 Every Christmas as a child, I watched the animation with my Nan and watching it as an adult I am transported back to those days of innocence and wonder. It really does hold some very precious memories for me so when I was invited to watch and review a live showing of the animation with my boys at The Victoria Hall on 18th December I was thrilled! 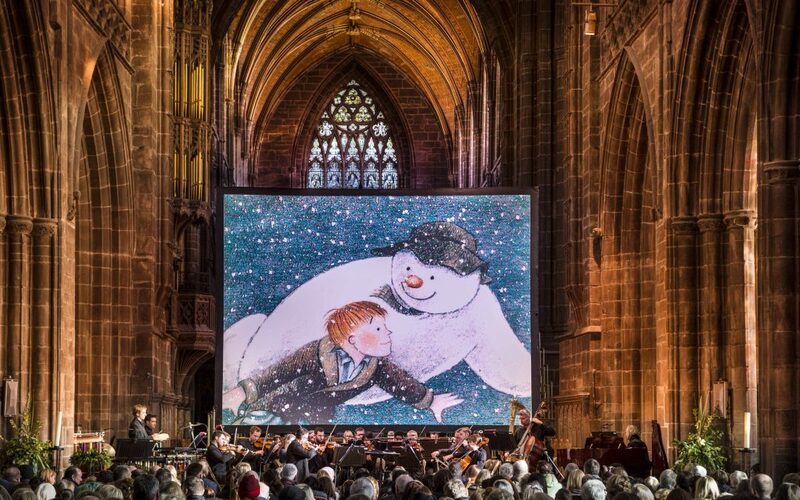 The performance looks set to impress the audience as much as these stunning locations with the animation been shown on a big screen accompanied by a live orchestra. How brilliant is that? I played the violin (badly) as a teenage and had a deep appreciation for classical music and the incredible emotive power that a live orchestra can create. I am incredibly excited to be introducing my children to the goose bumps and captivating beauty of live music in the context of this incredible animation and have no doubt that they are going to love it just as much as I did growing up. Here’s a sneak preview of what to expect. As well as The Snowman performance, audiences will also be treated to one of two other short animations. 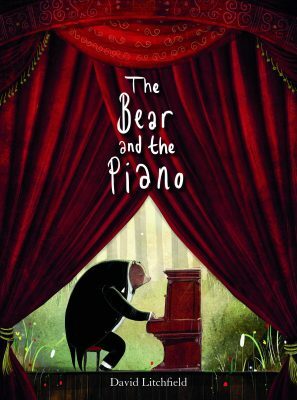 At some venues, The Bear and the Piano, an exclusive animated film of the award-winning book by David Litchfield will be shown narrated by the silky smooth voice of Joanna Lumley. Other venues will be showing The Nutcracker brought to life by Tom Scott’s mesmerising animated film and both are set to be unforgettable viewing experiences. The performance is suitable for children aged 3 and over and has been featured in The Guardian, Sunday Times and the Telegraph in their ‘Top things to do at Christmas’! Unsurprisingly, tickets are selling incredibly fast so if you, like me, are excited to watch this classic tale of friendship, love and adventure with the most incredible live surround sound your children will have ever experienced, I would book up soon. You can buy tickets here. I really can’t wait to take the boys and as much as I am sad that my Nan isn’t here anymore to come with us, I don’t think she will be far away from me, the boys who were her world and the story she introduced me to over mince pies and Christmas cuddles. I hope to create such memories for my own children and can’t think of a better way to do to it that this! I have received four tickets for a local performance in exchange for this post and blog review of the event. All opinions are my own.